In 2011, Biobalance Integrated Wellness got traction with neurofeedback services in the small mountain community of Bisbee, AZ using BrainPaint® technology. Dr. Buck began supervising the home user program for BrainPaint® with the intention of becoming a master trainer and supervisor of their system. She is eternally grateful for the wisdom of BrainPaint® technology for herself, her family, and for the many people whose lives she has witnessed being transformed. Dr. Buck sees endless possibility for bringing brain health into the 21st century, compassionately, using current day research and technology to empower those who suffer the effects of dysregulated brains. Dr. Buck envisions the time when neurofeedback, coupled with brain optimization supports, will become a household term, giving people with dysregulated brains a fighting chance, destigmatizing symptoms and behaviors, and eliminating unnecessary suffering and suicide, ending the tremendous individual and societal cost. We work with each individual holistically, utilizing wellness evaluations and encouraging lifestyles to promote brain health and overall health and well-being. We coordinate with existing providers, and make referrals for nutrition, medical care, complementary and alternative medicine, exercise, and for social connection. Dr. Buck has worked in various capacities in the mental health profession since 1991. She completed her bachelor’s, master’s, and doctoral degrees through the Department of Special Education and Rehabilitation at The University of Arizona. She has served on the faculty of institutions including The University of Texas Pan-American, the University of Arizona, Prescott College, and Arizona School for Acupuncture and Oriental Medicine. She has presented at numerous conferences and has published in the areas of addictive disorders, spirituality and healing, and worldviews and integrative medicine. She has followed trends in neurofeedback research and technology since 1993 and has gained extensive experience with neurofeedback in her own private practice. Dr. Buck has worked with hundreds of clients as the home user provider for BrainPaint® neurofeedback technology since 2012. Dr. Cynthia Dowdall is retired from the fire service where she was the Director of Behavioral Health and Community Services working with First Responders, hospital staff, and military members after critical incidents and with civilians after traumatic events. She developed the Internal Employee Assistance Program for the fire service providing counseling and resources to firefighters and their families. She continues to oversee the Medical Reserve Corps of Southern Arizona’s Interagency Peer Support Team where she has lead this diverse team after the University of Arizona, College of Nursing Shootings, the Gabby Giffords incident, multiple officer involved shootings, and wildland fires resulting in devastating losses. Dr. Dowdall received her doctorate from the University of Arizona in Neuropsychology, Sport Psychology, and Rehabilitation researching mindsets that promote resiliency helping individuals return to their optimum levels of functioning and performance after trauma exposure. Her coursework explored the correlation between mild Traumatic Brain Injury and psychological trauma. 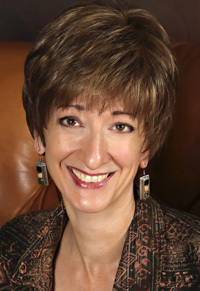 While at the University of Arizona, she was trained in Adlerian Psychology and various counseling theories. She is Certified in Reality Therapy and Choice Theory from the William Glasser Institute, one of the first Cognitive Behavioral Therapies that is utilized internationally in behavioral health practice, treatment facilities, organizations, and schools. Dr. Dowdall has extensive experience in psychotherapy, Christian counseling, addictions, traumatic and complicated grief due to loss, mediation, employee assistance program counseling, and integrative healthcare helping individuals find well-being and self-efficacy by treating the whole person. She works with children, teenagers, families, couples, as well as working with employees and management issues. Dr. Dowdall is a Brain Health Certified Coach through the Amen Clinic exploring brain health restoration biologically, psychologically, socially, and spiritually. She began biofeedback training early on in her career and was trained last year in BrainPaint® by its creator Bill Scott. She currently practices at the Northstar Neurological Rehabilitation Clinic alongside Dr. Tina Buck working with Veterans and First Responders. Born and raised in the West San Fernando Valley, Steve studied business at USC and more recently studied Neuroscience, Neurobiology, and Clinical Neurology through Harvard Medical School Extension, University of Chicago Medical School, and University of California San Francisco Medical School, respectively. He is BCIA trained in Neurofeedback with the Stens Corporation, considered to be the finest Neurofeedback training available. Steve also completed Mediation/Conflict Resolution Certification training through Loyola Law School in Los Angeles, and continues his learning with CME courses through University of Massachusettes Medical School (UMASS) and Harvard Medical School. Steve is also an active member of LAPD’s Community Police Advisory Board, a volunteer organization dedicated to improving the relationship between LAPD, the community, and local government. Steve and his wife Anna have been married for 26 years, and live in Tarzana with their two daughters and two rescue dogs. Summer Richardson has been actively involved in complementary and alternative health care for over 40 years. She has a multi-faceted background as a massage therapist, esthetician, Frequency Specific Microcurrent practitioner, and is currently studying the effects of color therapy and infra-red light. She incorporates many of these modalities in her sessions with clients. Summer is currently working toward her PhD in Natural Medicine from Quantum University, where she has taken both neurofeedback and biofeedback courses. She is certified as a Health Coach through the American Association of Drugless Practitioners. As a result of a personal neurological health challenge, Summer’s interests and research have led her to study neurofeedback, brain anatomy and brain function. She has received great benefit from using neurofeedback brain training for herself, and observes similar progress and positive changes in her client sessions. She completed the BrainPaint® neurofeedback training program with Bill Scott, and has also collaborated with Dr. Tina Buck establishing specific protocols for clients on the island of Maui. Summer has been a resident of Maui, Hawaii, since 1987 where she has a private practice and is actively involved in both the eastern and western medical healing communities.